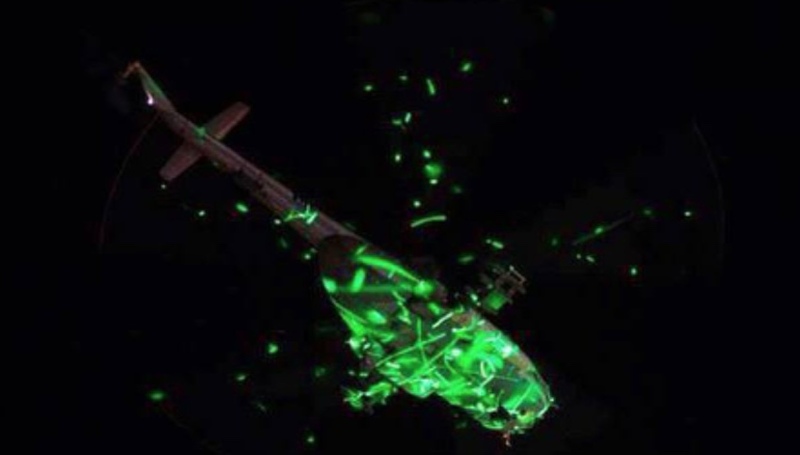 This photo showing a bright laser “hit” on a helicopter during July 1 2013 demonstrations in Egypt has been doctored, according to an analysis by LaserPointerSafety.com. The bright rays and the lens flare effects were not captured by the camera but were added later. This may have been done for artistic effect, or to make the lasers look more dangerous. However, this incident does serve as a reminder that “you can’t always believe what you see”. Note that the dot patterns on the helicopter are identical. This demonstrates that it is the same underlying picture. Even if the photos were taken a fraction of a second apart, as with a camera motor drive or video frame capture, the laser dots could not remain in exactly the same place. 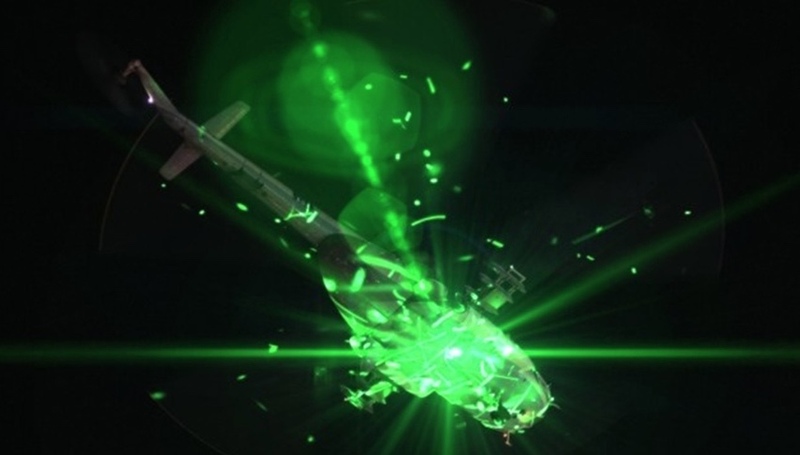 Consider for example that the helicopter rotor is moving at high speed, that the aircraft is flying, and that persons holding the laser pointer have natural unsteadiness in aiming. We reached out to the blog author, but he was not been forthcoming about the photo source and any potential manipulation. We have also requested that Core77 remove the photo, or relabel it to indicate the light rays and lens flare are faked. We also have edited our original article to indicate that the rays/flare version is not what the camera originally captured. Thanks to Robert Aldrich for noting the photos were identical except for the rays/flare, and bringing this to our attention.